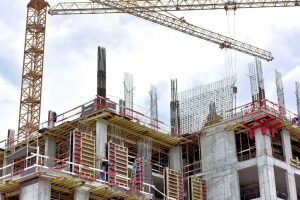 The recently released CoreLogic Market Movement Report indicated that 2429 projects moved into construction in Australia in the December quarter. This was -7.8 percent lower than the preceding quarter, with a corresponding lower dollar value of $13.1 billion, down seven percent. CoreLogic’s commercial research analyst Eliza Owen attributed the lower number of projects and value to seasonality; however, commenced construction projects are already 40 percent up on 2017. Additionally, the number of commencements is lower than the five-year average, but the value is rising. Owen says, “2017 marked continued participation in construction from state and territory governments, which accounted for 36 percent of construction value in the year to December 2017. In fact, 85 percent of the value of civil engineering projects commencing in 2017 was held in government or joint venture projects, leaving only 15 percent owned wholly by the private sector. “However, economic data suggests that the private sector is in recovery, and reflected in new projects added to the pipeline over 2017. The pipeline over 2017 indicated that private ownership accounted for 47.4 percent of the value of new civil engineering development applications in 2017, as opposed to just 24.9 percent in 2016. “With new pipeline values up 10 percent on 2016 and commencement values up 40 percent, it is fair to say that the construction sector will see higher levels of activity going into 2018,” concludes Owen.